Show off your wild side with the fashionable Aetrex Laura Black slip-on. This chic flat features a combination smooth and alligator texture leather upper, elegant hardware, a practical rubber sole and elastic goring to reduce heel slippage. 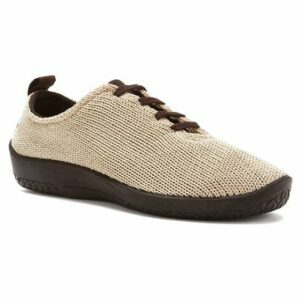 Aetrex’s patented Mozaic customization technology adds superior comfort to this charming shoe. The lining wicks moisture to keep your feet dry, while the padded collar, heel counter, and advanced sole all work together to prevent heel slippage with every step you take in the Aetrex Laura Slip-On shoe.